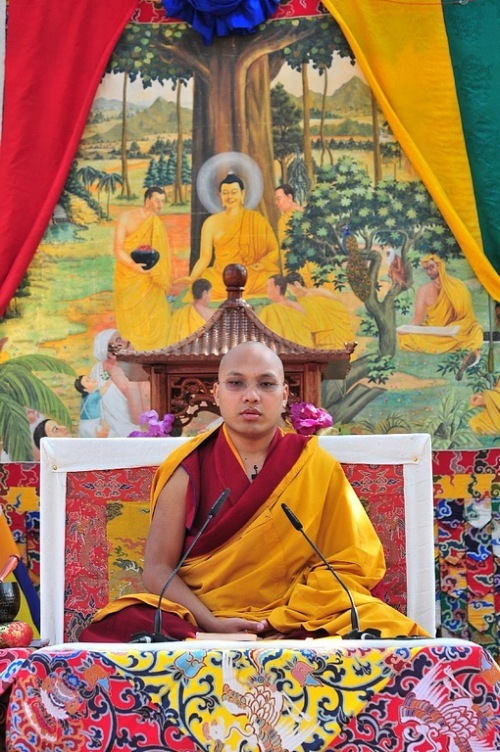 There’s lots on the internet about HH Karmapa at present and not all of it is positive. We have been asked to say Guru Rinpoche mantras for HHK and his works – Om Ah Hum, Benza Guru Pema Siddhi Hum. See also slow and fast mantra recorded by yours truly. With thanks to John Crook, The Western Chan Fellowship and the sangha. The authorities in India have taken it upon themselves to investigate nearly half a million pounds worth of foreign currency “found” in the Gyuto monastery, the home of Ugyen Thinley Dorje, the 17th Karmapa. The money was in nearly two dozen foreign currencies, including a large amount of Chinese yuan,the Karmapas’ office pointed out that they received support and donations from followers in many countries including Tibet hence the Chinese currency! It seems that the motivation here may be Indian antagonism against Tibetan exiles purchasing land in the Himalayan region of north India. There has been a long running smear campaign in the Indian media against his Holiness with the suggestions of his being a “Chinese Agent”. Police raided the Gyuto monastery on Thursday and arrested a monk on suspicion of trying to illegally buy land in the region. The raid followed the arrest of two Indians a day earlier who were found carrying 10 million rupees (£14,000) in cash, said Santosh Patial, a superintendent of police. On questioning, the two said they had received the money from the monk, an Indian national, to buy a plot of land in Himachal Pradesh where Dharmsala is located. This entry was posted on January 31, 2011 at 9:15 pm and is filed under HH Karmapa, News, Tibetan Buddhism. You can follow any responses to this entry through the RSS 2.0 feed. You can leave a response, or trackback from your own site.